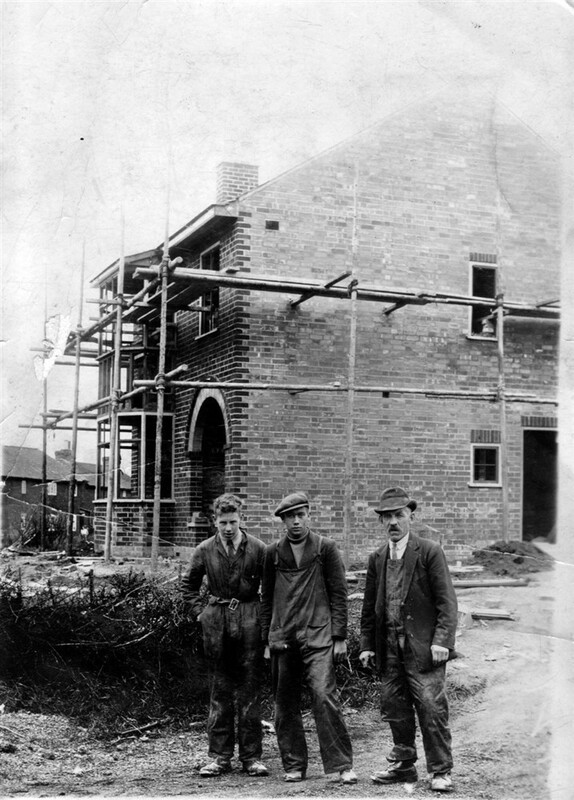 Builders working on a house under construction in Bottesford, c.1960. Jill’s uncle Percy is the man in the centre (probably Percy Allcorn jnr), The location is the house built for Mr Tom Samuel on the corner of Pinfold Land and Bowbridge Lane. Old cottages on Bowbridge Lane (formerly Orston Lane) can be seen in the background.